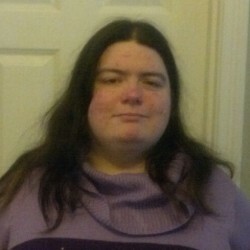 Just a lover of geekery and reading all balled up into one place. I do love me some superheros. Granted I can’t tell you which Robin was which in what order, or name off every villain in the Marvel universe. But I do enjoy the occasional graphic novel reading or superhero movie. So I was really glad to get to read this collection. But will the review be good? How will Batman get rid of that bomb? What will Hulk smash today? Ahem. Sorry about that. Seriously though, the review. This collection of short stories was gathered together with the theme of superheroes in mind. A theme which scores instant points with me. The fact some of the stories are written by well-known writers (Peter S Beagle of “The Last Unicorn” fame for example.) only serve to give it more points. In the end, what is the score? Read on gentle reader. I enjoyed this collection so much. I’ll admit in many collections there is a story or two I will skip if it doesn’t grab my interest. That did not happen here. Every story had interesting characters or an engaging plot to it. 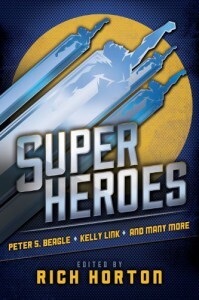 A wonderful collection of Superhero short stories that is indeed worth your time and money. So with that gentle reader I go on to my next book. To the bookmobile!